Which French Polisher are you going to use for total peace of mind ? Because we can give you the answer to any question about French polishing and furniture restoration that you can throw at us. 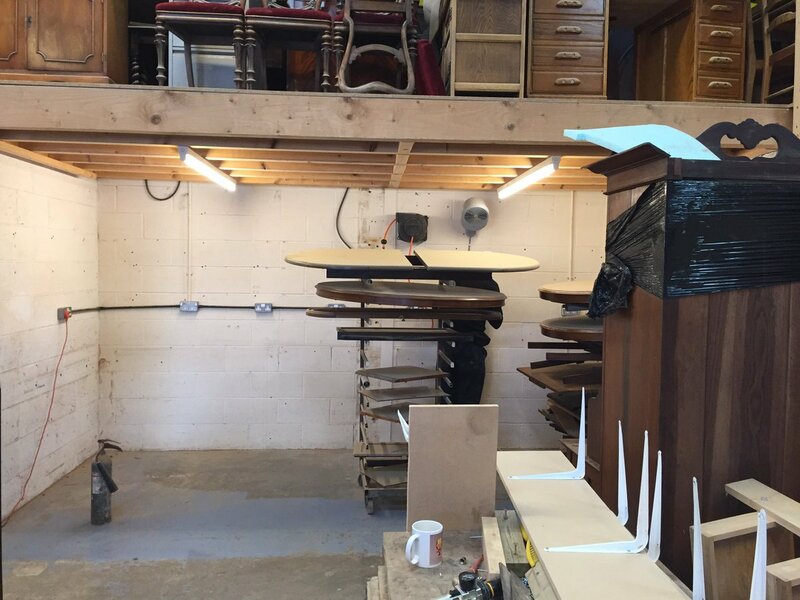 We are in a unique position, being able to restore almost any type of furniture carrying out many types of furniture restoration finish and French polishing, from any era, in any condition. We are a family concern; 3 generations of furniture restorers and French polishers with an invaluable wealth of knowledge built the real way. You will receive honest and personal advice from us regarding your furniture restoration requirements. Whether your dining table requires French polishing due to a water ring, burn mark, scuff or a scratch. A Sideboard with dents or deterioration requiring a new spray finish, chest of drawers, cabinet damaged - even a suite just looking tired needing a new lease of life, it can be resolved for you here at Barrdale Furniture Restoration. We are specialists in all areas of furniture repair, furniture restoration & French polishing - and have been for nearly 30 years. About Us, Our Work and our Restoration Services. Getting ready for our new office expansion!